Free high resolution close up of a pink radish blossom. This picture shows a macro shot of a tiny pink flower on a radish plant that has bolted, or gone to seed. 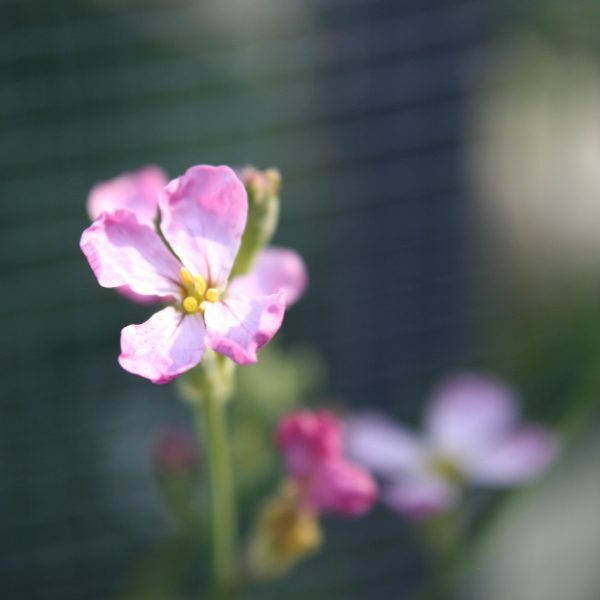 Radishes are generally grown for their roots, but once the weather gets too hot, the plant will send up tall shoots with tiny flowers, and at that point the plant puts most of its energy into the flowers and seeds rather than the roots. However, all is not lost since radish seed pods are also edible. Free image for any use.